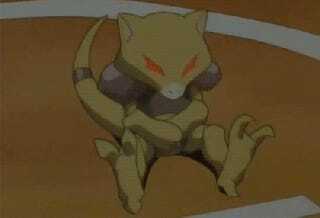 Appearing out of thin air, Abra! Pokemon One a Day! The original design of Abra is the kind of direction I love when Gamefreak creates their own unique monsters for their series. It's got its own thing going on, and it got me thinking...What exactly are these things? I see a hint of a fox, and maybe some sort of reptilian features because of the armor like plating which even that is a stretch. Whatever it is, it's original and these are the best designs that allow the artists to flex those creative muscles! For this illustration, I wanted to do something clean and sharp, both in coloring and tackling the otherwise soft and tender looking first form of Abra. I knew I was going to depict it use "teleport", a move that would often hinder your chances of capturing this Pokemon that can grow up into the beast known as Alakazam. Fleshing out the body and the armor by block in colors in both a sharp and angular way, I represented the Pokemon in a meditative stance recalling Gautama Buddha. From there, the image I saw in my mind before starting was looking to represent teleport in an interesting way that could be the highlight of this work. Teleportation, being a very active event in placing your body in two places simultaneously made my design conscious about representing this moment in a single, frozen plane. I messed around with many ways to showcase the movement while in this posture and the one you see here is the one I liked the best. It took a lot of work and a lot of photo-manipulation - trial and error, duplicate layers, erase, add some effects, balance it out, increase and decrease opacity, sharpen, soften, and voila! Whew. And that wraps up today's work! 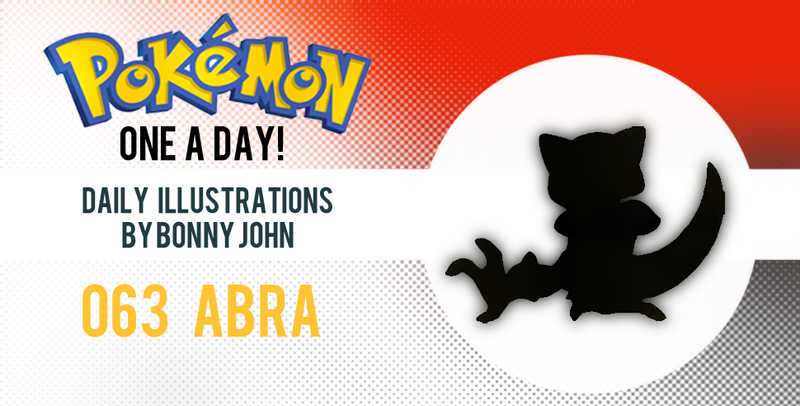 I hope you enjoyed Abra and the thoughts that went into creating this illustration. Stay tuned for part two of this magic trick! Enjoy your night and see you tomorrow!